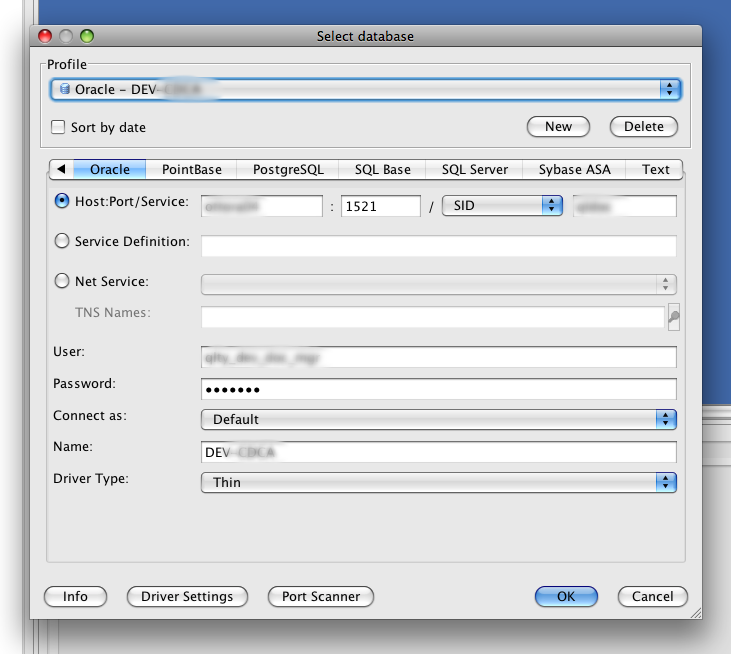 If you work with Oracle database, a very good tool you should not ignore is the Oracle SQL Developer. It gives you much more power when it comes to manipulating data or managing database. I use most of the time MyEclipseIDE plugins, but when I need e.g. 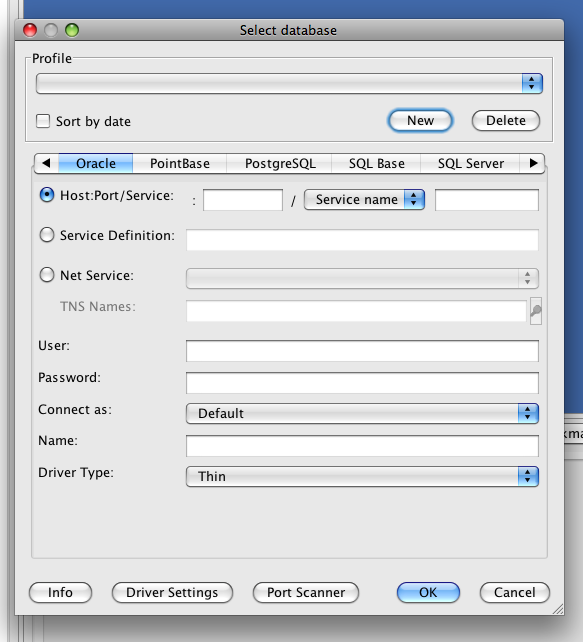 export data, the SQLDeveloper is way to go. I typed the hostname:1521 but the error message kept coming back. There was no obvious way how to put 3 values – host, port and SID into two field. After checking the documentation, I remembered that the Windows version did have 3 text fields instead of two. After this, everything worked OK. I have been sick for last two weeks, most of the time offline, listening to podcasts and audiobooks and doing more or less nothing. I have caught up with the backlog of episodes, saw lots of videos from Macworld. The Company is good parody of the corporate life. Starting with missing donut, it tells the story of a new hire in large corporation, governed by strange rules. It soon has an interesting twist – find for yourself. The book is available as MP3 CD, so you can save time ripping it to iPod. As of yesterday, I am back in circulation, trying to catch up with everything I missed for last two weeks. But back to the topic. Upgrade went smooth and after 2 bangs (reboots) everything seems to work OK. Finally there is an option to “tigerize” the translucent menu, without add-ons and hacks. Time machine has small menu item to access preferences. The update promises WiFi improvements (tests pending). What seems not get fixed is the annoying rfc1323 TCP/IP stack setting (see here). What helps is to roll back to version 2.5 which works just fine. Here is the Amazon page for the book – check the reviews. There is also a sample chapter available on the book’s website. If you have Safari subscription, you can read it there as well. I am still amazed about how nice is the whole thing designed and how many ways it can be used. It’s flexibility is simply breathtaking. The price for the flexibility is complexity – sometimes it is not obvious what of many options should be chosen and what are all these options anyway :-). Spring has very good documentation, compared to most of the open source projects I have looked at (and it was pretty large number over last 10 years). There are also many books on Spring, several of them pretty good. All this makes the fairly steep learning curve more accessible. But what is still missing are good examples. But wait a moment, you may say – Spring source distribution DOES have several examples – for example JPetstore (offering two alternative implementations of UI – once using Spring MVC, once using Struts), Petclinic, and several others. The source code is nicely readable and well commented. So what is the big deal ? The big deal is the ratio of options and possibilities offered by the framework to the options actually presented and demonstrated by the examples. Let’s take only the Spring MVC, which is certainly less than 30 % of the area covered by framework. Considering the possible combination of components would easily justify 20 examples just on that topic, not 2 or 3. The examples select one or two of possible URL mappers, provide some examples of controllers, view resolution and then the actual view. What is missing are alternatives and explanation of the differences. How would using SimpleUrlHandlerMapping instead of BeanNameUrlHandlerMapping impact the application, is explained pretty well in Chapter 13 of the documentation. For an experienced developer this (and a source code itself) is usually enough. 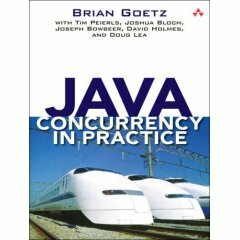 If you try to explain Spring based application to somebody without prior IoC / DI experience, you may find out that it is not as obvious and that having an example of working code that would show the actual different implementation and letting him/her to compare and experiment, turning one into another would probably be the easiest way how to get started. I realize that creating enough examples could be possibly a code maintenance nightmare – at least if the pace of Spring development will remain the same. In many cases, more documentation on the samples, explaining how it works at the high level and discussing the alternatives would be almost as helpful as the full source. The otherwise very good documentation is quite brief on the Samples side – the Chapters 26 has about two screens, and that for all the samples. And because this is definitely NOT a rant, but an attempt to make a constructive suggestions, I plan to do something about the situation myself and will post the notes from “dissecting the Spring App” that I used for explaining how things works in Spring MVC and around. As soon as I get them to presentable form ;-). Stay tuned. You are currently browsing the Miro's World blog archives for February, 2008.